The Countdown is on for the Grafton Cup! The Grafton Cup Carnival is one of the biggest non-metropolitan events on the horse racing calendar. The $160,000 Grafton Cup draws people from across Australia to gather at the Grafton Racecourse, located less than an hour inland of Yamba. For fashion lovers, there will be the Grafton Shoppingworld Cup Day Fashions on the Field competition while others will be entertained by live music on the West Lawn. 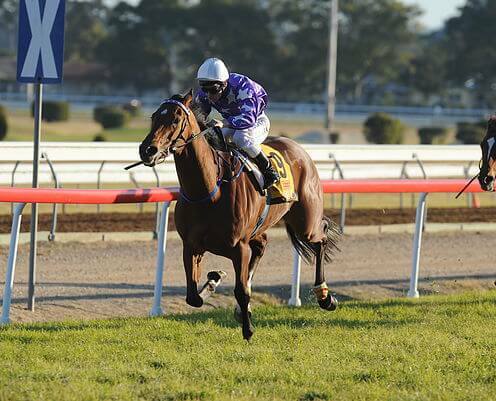 The Grafton Cup is Grafton’s biggest event on the social calendar and is one not to be missed. Being not far from Grafton, Yamba is the ideal location to stay if you are planning on going to the Grafton Cup Carnival. We have studio, one bedroom, two bedroom and three bedroom Yamba holiday apartments available.